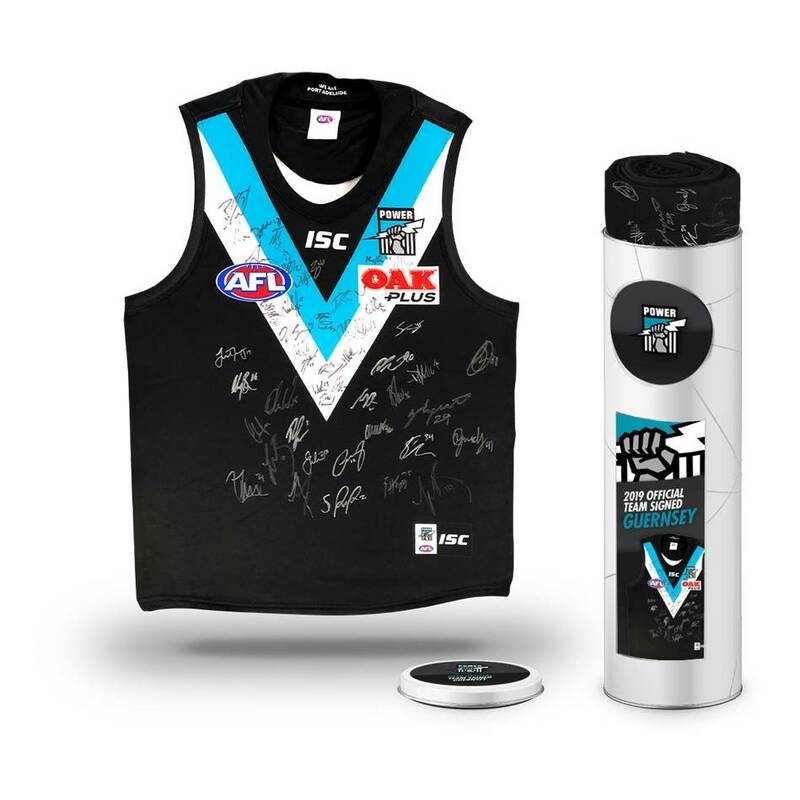 Official Memorabilia, in conjunction with the Port Adelaide Football Club and the AFL, are proud to release the 2019 Team Signed Guernsey. Personally signed by the entire Port Adelaide playing squad for the 2019 AFL Toyota Premiership Season, each guernsey comes officially licensed and endorsed by the AFL & AFLPA. The 2018 collection of team signed guernseys were completely sold out – don’t miss out this time around, secure yours before this extremely limited stock runs out!